He took a military service from 1981 to 2000. 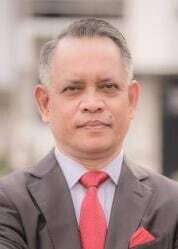 After that he was appointed as a Deputy General Manager of the Myanmar Agricultural Produce Trading under the Ministry of Commerce from 2000 to 2005. Then, he was promoted as a General Manager at the Export Department of the Myanmar Agricultural Produce Trading in 2005. In 2006, he was transferred to the Minister’s Office of the Ministry of Commerce as a Principal Officer (Deputy Director General) and in 2010, he served as a Deputy Director General of the Department of Border Trade under the same Ministry. He has also been appointed as Secretary of Myanmar Investment Commission (MIC) since 2014. He attended trainings in various institutions including WTO and participated in many international seminars and meetings related to investment, trade and ASEAN affairs. He was also the Co-chair of OECD Task-force on updating Policy Framework for Investment.